The cult favorite ‘Heroes’ returns with a new miniseries. But has it evolved along with its characters? The original Heroes was an early pioneer in the rise of genre television. In an era before Daredevil and The Flash were tearing up screens, Heroes stood as the series that was unafraid to embrace the superhero genre. It offered an intriguing array of superpowered characters and an epic, interconnected story that used the best elements of comic book storytelling to create something new. One part Twin Peaks, one part X-Men, Heroes told the story of ordinary people gaining superpowers and how they would use them. However, after a stellar first season, Heroes lost much of its charm, with the 2007 WGA strike cutting its second season short and creator Tim Kring writing himself into a corner, as the show tried to cram more and more story into a small space. Despite the show’s failings in the later years, there remains something appealing about the simplicity of Heroes’ original mantra of everyday people gaining superpowers. And thus, we have Heroes Reborn, a miniseries which acts as both a soft reboot and a continuation of the show. Reborn introduces a new cast of characters, along with a few returning fan favorites like Jack Coleman’s HRG and Masi Oka’s Hiro Nakamura. Heroes Reborn picks up five years after the original series, with the existence of evolved humans (now called “EVOs”) revealed to the public and new ones popping up everyday. However, time has created tension between humans and EVOs. When what was supposed to be a peace summit gets interrupted by a mysterious attack, a new generation of heroes must rise to uncover the truth. Reborn’s two-hour premiere has its work cut out for it, as it must not only catch viewers up on the whereabouts of returning characters like HRG, but also set up newcomers like Robbie Kay’s teleporting teenager and Zachary Levi’s EVO-hating vigilante. Despite all the exposition, “Brave New World” and “Odessa” do a great job of building out Heroes’ world once more, this time with the added twist that anyone could be an EVO. This keeps the universe feeling familiar, yet fresh, with the show utilizing powered people in more and better ways (despite the main cast ironically having more humans than its predecessor). Heroes Reborn does struggle to hold its narrative together in some places, however, as the constantly jumping between storylines can sometimes derail the show’s momentum. The new cast is a bit of a mixed bag. 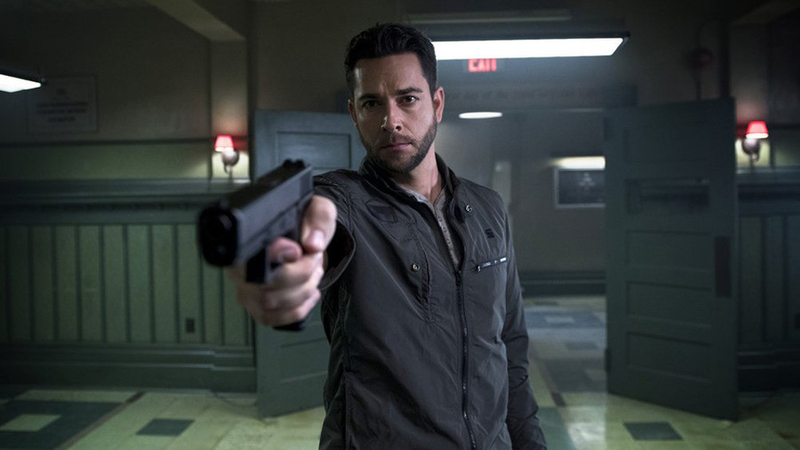 Zachary Levi provides a suitably intriguing villain and newcomers Carlos and Quentin do good work, but all the new characters are going to require more fleshing out if they want to truly make an impression. Jack Coleman is as likeable as ever as HRG, although it would be nice if he had more returning cast members to play off of. I hope that’ll be addressed in the episodes ahead. Heroes Reborn is a good if not great second coming for the series, setting up a new status quo for the show, but stumbling a bit in utilizing it. The premiere episode tries to balance new characters and old favorites, but it’ll take more time before everything starts to click. If you enjoyed the original Heroes, you’ll like Heroes Reborn, but genre fans looking to get into the show may be better served by waiting for it to enter binge-ready streaming services. Are you excited for the return of ‘Heroes’? How is the new cast doing? Tweet me @MaxMielecki. Also, be sure to follow us @YouNerded.